Aloft Hotels – Marriott International’s brainchild for music enthusiasts, has joined hands with Universal Music Group (UMG), the global flag bearer in the music-based entertainment for their 2018 edition of Aloft Hotels’ new-artists discovering venture – Project Aloft Star. And that’s not it! This year, for the very first time, a five-city tour – Project Aloft Star Tour has been announced to celebrate UMG’s new promising artists and their inspiring talent. Music group, X Ambassadors will mentor the three Aloft Star finalists, to help them prepare for the grand finale which is to be held this November. The winner will claim once-in-a-lifetime opportunity to record a single at the celebrated Capitol Studios in Hollywood under the guidance of UMG’s executives, along with 500,000 rewards points redeemable for Marriott International hotel says and other rewards. The tour began its magical journey in June and Philadelphia, PA was the first city they had on their list. The tour’s San Jose, Costa Rican installment was particularly entertaining. 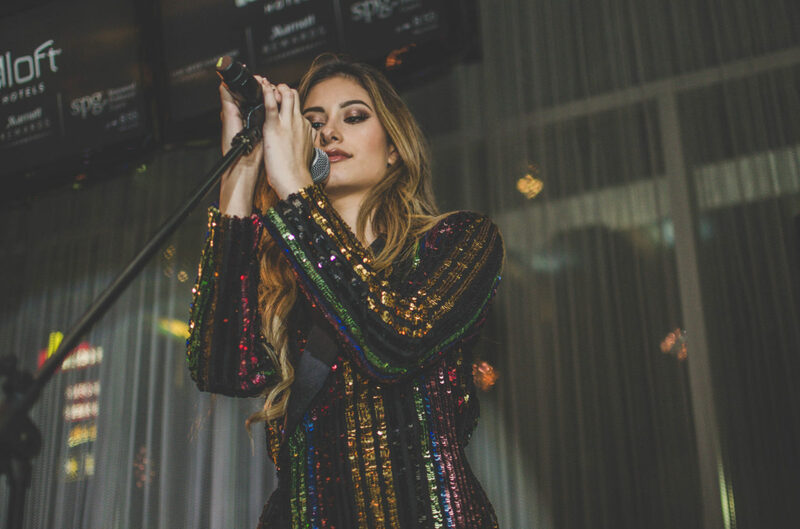 It took place in the Aloft Hotel in San Jose with live music performances by upcoming artists like Stanaj and Fatima Pinto. 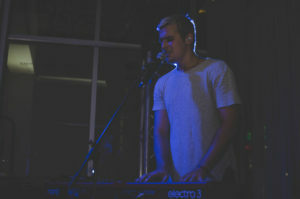 And besides the performances, there was a great selection of cocktails, snacks, a dance floor, a photo booth and tour-specific merchandise that the fans could purchase. 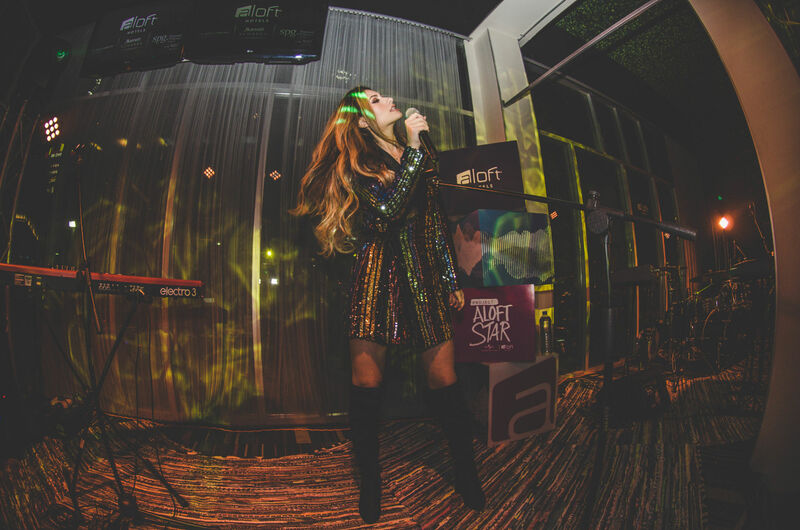 Project: Aloft Star Tour is slowly evolving into a promising stepping stone for a lot of new musicians and artists from across the world, who were waiting for a perfect platform like this, to showcase their talents. Check out Stanaj and Fatima Pinto on Instagram and Youtube for their new music and upcoming singles! Aloft Hotels – owned by the Marriott Group, offer travelers – luxurious business and vacation hotel experiences with a fun new twist. Walking into an Aloft, the guests are greeted by extremely courteous staff members, ready to make their stay a joyful and memorable experience. The guests are also welcomed by an exciting list of hottest music numbers being played in the lobby. The vibe of the Costa Rican hotel is filled with a lot of bright colors, pool tables, fun artwork, lounge area, some fabulous music, the W XYZ Bar, Backyard Restaurant, gym access, outdoor pool, hammocks, and not to mention, the incredibly comfortable guest rooms. A standard guest room at Aloft in Costa Rica comes with a great desk space and a comfortable chair with a great view of the city, a comfortable bed, attached bathroom with a range of luxury toiletries like toothbrush, toothpaste, shampoo, body wash, razor and more! Their event space for Project: Aloft Star Tour was also perfect! Usually, events in hotels are stuck in the ballroom with outdated carpet with a dance floor and awful chandeliers. 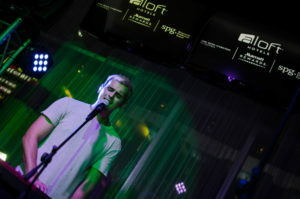 Aloft had the most amazing set up where the bar was located right there, near the seating area, while the stage, the photo booth, and merchandise were all set up in the lobby itself. The guests praised this new twist that made them feel like they weren’t in a hotel at all. It felt like they were visiting a trendy music venue, instead. The food at the hotel restaurant can be best described with the word ‘magnificent.’ Do try their mango chutney chicken that comes with a salad and quinoa. They have a buffet style breakfast and lunch every day which makes the experience of staying with them even more pleasurable and convenient. ‘Marriott Moments’ is an experiences marketplace that offers a wide selection of activities and tours for a range of travel destinations across the world. Marriott Moments has one of the largest collections of experiences available online, with 120,000 different activities located in over 1,000 destinations globally. While in Costa Rica one can experience three different ‘Marriott Moments,’ staying at the Aloft, San Jose. The first moment is a coffee farm touring experience, and anyone who’s a coffee lover is bound to fall in love with this experience since Costa Rica is one of the top destinations in the world when it comes to coffee exports. The guests can explore the farm, learn how to pick coffee beans and how to slow roast them and brew them to prepare their own cup of coffee from scratch. This tour also includes a complimentary lunch at the Mirador Tiquicia, which serves absolutely lip-smacking, authentic Costa Rican food. The next Marriott Moment is based in San Jose, Costa Rica in Mercado Borbon – where the guests can stroll through the marketplace area while tasting fresh fruits and learning about the agricultural norms of Costa Rica. The tour guides of this experience are very well informed and educated. And in the end, the guides take the guests to a Chocolateria, where one can savor some divine pieces of handmade dark chocolates along with freshly made hot chocolate preparations. The final Marriott Moment is a 15-hour tour! They pick the guests up in a van and take them on several different adventures for the day (lunch and dinner included). This includes activities like – a visit to a coffee plantation, trip to the La Paz Waterfalls, the experience of petting cute-looking iguanas, zip lining adventure at La Fortuna and a relaxing time at the Paradise Hot Springs. And after all this, the guests head back to San Jose to enjoy another fabulous Costa Rican meal. Opting for the Marriott Moments is highly recommended as it allows you to explore the wonderful culture of this beautiful country and that too, in just a day or two.